This year’s Benefit theme is “Opening Doors.” The event takes place on Wednesday, June 5th at the Harvard Club of New York. 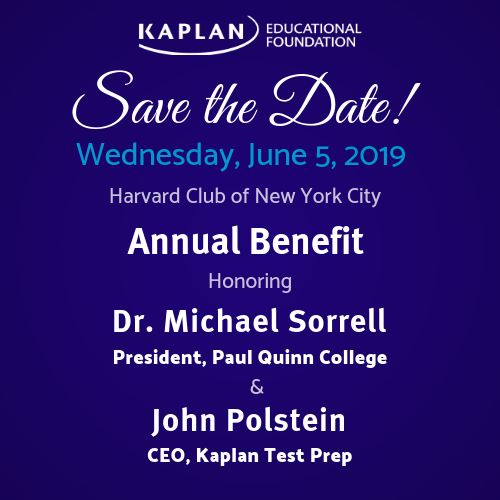 We are thrilled to honor Michael Sorrell, Ph.d, President of Paul Quinn College and John Polstein, CEO of Kaplan Test Prep. For individual and sponsorship details click (here). Can't attend? Make a fully tax-deductible gift to help us serve even more Kaplan Scholars in the fall. KEF Inaugural Gala Honoring Smith College.